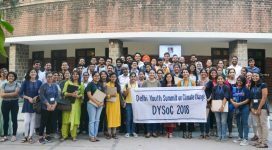 Shaheed Rajguru College of Applied Sciences for Women (SRCASW), University of Delhi organised an Inter-College Eco-Fest Prayas on 28 February 2019. 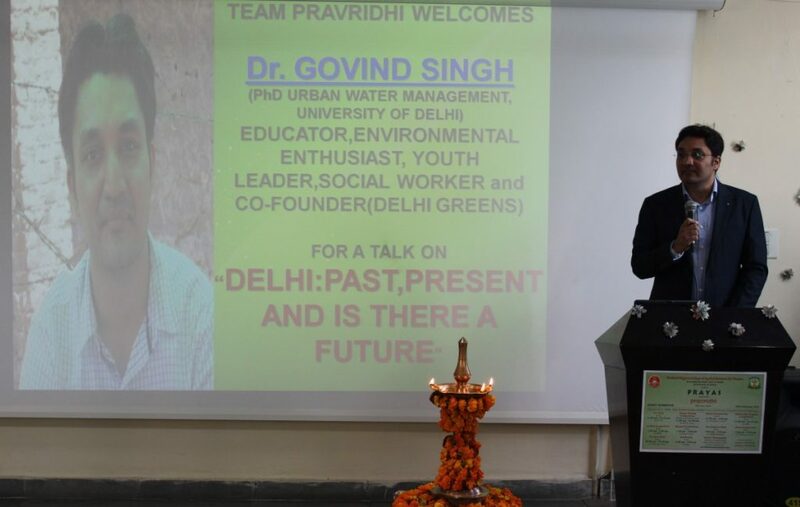 The Eco-Fest was organised by the College Eco Club Pravridhi and Dr. Govind Singh, Co-Founder & Director, Delhi Greens was invited to give the Inaugural-Talk for this event. Dr. Govind Singh delivered the Inaugural-Talk on the topic, Delhi: Past, Present and Is there a Future. 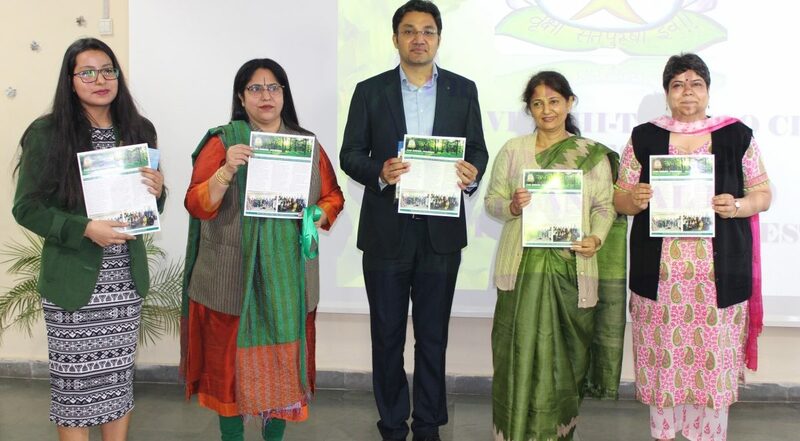 The Talk was preceded by the release of the Eco Club Newsletter, among other publications, and the release ceremony was joined by the College Principal Dr. Payal Mago and the Eco Club Convenor Dr. Rekha Mehrotra among others. The Inaugural-Talk was followed by the inauguration of the College’s Herbal Garden, an initiative of the students and faculty of the College. 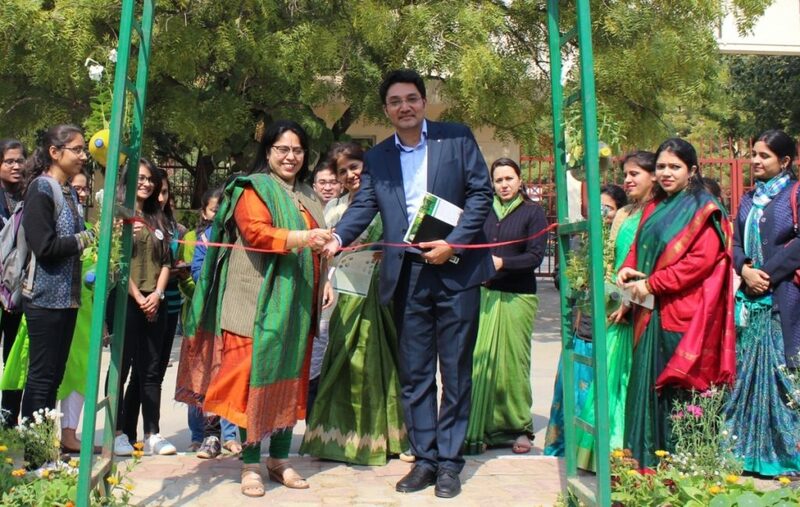 The Herbal Garden was jointly inaugurated by Dr. Govind Singh and Dr. Payal Mago and is a collection of medicinal and edible plants suitably demonstrated for the students and the College community. Subscribe to our Newsletter and stay updated with our activities.